Miami University offers an undergraduate software engineering bachelor's degree, Cleveland Institute of Technology offers an associate's degree in software engineering, and Cleveland State University offers a master's degree in software engineering. Computer science undergraduate and master's degree programs are offered by many more institutions in Ohio and can help prepare students for the same professional paths in software engineering as a software engineering specific program can. In many cases, computer science and computer engineering undergraduate degree program curriculum includes software engineering fundamentals in earlier courses. Of the thousands of software engineers, roughly 50% of them hold their undergraduate degree in computer science. What About an Online Computer Science Degree? 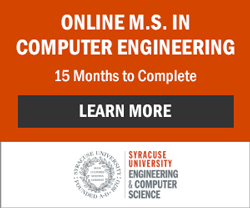 What About an Online Software Engineering Degree?